The beauty industry has an ugly secret: Most skin care products contain harmful chemicals that could potentially harm your health, and even make aging worse. Your makeup, face cream, skin moisturizer, or cleanser may deliver short-term smoothness and brightness, but it also may disrupt your hormones, expose you to cancer-causing chemicals, and deliver dangerous toxins that age your skin. While companies must ensure their products are safe, they are not required to do any premarket testing or submit safety data to the FDA before selling a product. In other words, although cosmetic and beauty products are regulated by the FDA, there is no FDA approval required for any ingredient or combination of ingredients, other than color additives. The FDA has only banned a few specific chemicals from cosmetic products, which are listed on their website. When it becomes apparent a particular chemical is harmful to health or the environment, consumer pressure often leads companies to remove certain chemicals from their products. You often see companies advertising their products as paraben-free or phthalate-free, for example. Become educated about which ingredients are harmful and avoid them. To protect your skin and keep it as healthy as it can be, I recommend that you avoid cosmetic, bath, and beauty products that contain any of the following chemicals. BHA (butylated hydroxyanisole) and BHT (butylated hydroxytoluene) are antioxidant preservatives added to beauty products, as well as foods. BHA is considered a likely carcinogen (cancer-causing agent) by the U.S. National Toxicology Program and is added to cosmetic products that contain fats and oils, especially lipstick and eyeshadow. In studies, animals exposed to BHA developed stomach and liver damage and complications with their thyroid and reproductive organs. BHT – a similar compound – was not found to cause cancer, but did cause liver and kidney damage, as well as other toxic effects. Some companies are proactively removing BHA and BHT from their products. Borates are boron-containing chemical compounds, the most common include sodium borate (borax), boric acid, sodium perborate and perboric acid. Sodium borate, also called sodium tetraborate or disodium tetraborate, is a naturally occurring mineral, and it is used as a preservative and emulsifying agent which stabilizes the combination of ingredients in creams, lotions, shampoos, and bath products. Borates are sometimes used in teeth whitening toothpaste. A major concern with sodium borate and its chemical cousin, boric acid, is that, in several laboratory animal species, exposure to either of these two compounds led to shrunken testes (testicular atrophy) and reduced sperm count in males and birth defects in females. Exposure to sodium perborate caused chromosomal rearrangements and mutations in hamster cells. Borates have been banned in the European Union, and the Canadian government advises individuals against using borax. Many colors used in cosmetics were once made from coal tar; although today they are made from petroleum, the name coal tar dye remains. Many hair dyes contain coal tar dyes, usually called D&C or FD&C followed by the color and a number, e.g., D&C Red 33). [11, 9] Avoid them. Formaldehyde is a known carcinogen. Formaldehyde and its cousin formalin are found in nail polish, nail polish remover, eyelash glue, hair gel, soap and other products. You can be exposed to inhalation of formaldehyde during Brazilian blowout hair smoothing treatments, even if they claim to be formaldehyde-free. There are also many formaldehyde-releasing preservatives – including DMDM hydantoin, Diazolidinyl urea, imidazolidinyl urea, methenamine, quaternium-15, and sodium hydroxymethylglycinate – in products, including baby shampoos. Most studies have studied the effects of inhalation of formaldehyde versus skin application, but the clear link to cancer from inhaled formaldehyde is enough to avoid products that contain these compounds altogether. Exposure to even a small amount of mercury is toxic to the brain and nervous system, as well as the digestive and immune systems, lungs and kidneys. It has been banned in cosmetics in the U.S. since 1974. But mercury-containing cosmetics made overseas can be imported into the U.S. and sold in shops catering to Latin, African, and Middle Eastern communities. Buyer beware! These products may release mercury vapor, which not only causes mercury poisoning to you, but to people around you. To avoid hidden mercury, steer clear of products with these ingredients: calomel, mercurio, mercurio chloride, or mercury. Products are required to include English ingredients, so avoid products that do not, as they may have been imported illegally and do not abide by FDA regulations. Hydroquinone is used to lighten skin pigmentation. However, its use sometimes results in a disfiguring skin disorder called ochronosis, which results in blue-black pigmentation that is difficult to treat. Animal studies have found enough exposure leads to tumor development, DNA mutations, and reduced fertility in males. Sunscreens contain oxybenzone to absorb UV light. While the American Academy of Dermatology says oxybenzone is safe, the Environmental Working Group, an environmental nonprofit that publishes the Skin Deep® Cosmetics Database warns of moderate to high concern due to its endocrine-disrupting properties. One study found oxybenzone caused the excess creation of reactive oxygen species, which can cause DNA mutations, cell death, and lead to cardiovascular problems. Synonyms for oxybenzone include benzophenone and phenyl-methanone. Triclosan is an antibacterial and antifungal substance in many hand soaps and hand sanitizers, as well as deodorants, skin cleansers, and toothpaste. At very low doses, triclosan is an endocrine disruptor which can affect your thyroid and reproductive hormones. After finding evidence of liver damage in mice and reviewing extensive evidence of its endocrine disrupting properties, in 2016, the U.S. FDA banned triclosan in personal antibacterial products and is working on getting them out of hospitals. Fragrances are added to lotion, body wash, soap, and many beauty products. However, cosmetic companies don’t have to legally disclose which chemicals are in their fragrance because they are considered trade secrets. Fragrances and perfumes emit volatile organic compounds (VOCs), formaldehyde, and other toxic chemicals, some of which have been linked to cancer. Products that are labeled as unscented products may contain fragrances with masking agents. Masking agents are often phthalates which are known endocrine disruptors. Choose fragrance-free options. Some fragrances are linked to allergic reactions, asthma, and migraine headaches. A common ingredient in fragrances, phthalates are endocrine-disrupting chemicals that mimic human estrogen and cause hormone balance issues for both women and men. Several studies have found phthalates to be obesogens, chemicals that alter metabolism and result in weight gain. Phthalates have also been linked to an increased risk of breast cancer. 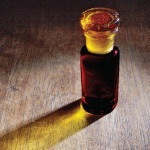 Petroleum distillates are mixtures of volatile hydrocarbons created from petroleum, and used in mascara. They are categorized by the European Union as a possible carcinogen and possible mutagen, which is a chemical that mutates DNA. You can search the Skin Deep® database for mascaras that contain these and other chemicals. Siloxanes are used in cosmetics to soften and smooth skin, to help deodorants glide on more easily and for hair products to dry more easily. Three in particular – cyclotetrasiloxane (D4) and Cyclopentasiloxane (D5) cyclohexasiloxane (D6) are harmful to the environment, and D4 is a known endocrine disruptor which interferes with fertility. Cyclomethicone is a mixture of D4, D5, and D6. You will find sodium laureth sulfate (a contraction of sodium lauryl ether sulfate, SLES) or sodium lauryl sulfate (SLS) in most shampoos, soaps, and cleansers. Although these two ingredients are relatively safe themselves, during production, SLES may be contaminated with 1,4-dioxane, a carcinogen, and ethylene oxide, a chemical known to harm the nervous system. Because of possible skin irritation, the Cosmetic Ingredient Review Board recommends SLS should not exceed 1% in any product that stays applied to the skin. Toluene is commonly found in nail polish, and research suggests it affects the nervous system, interfering with learning and performance as well as brain development in animal studies. Fertility and fetal development are also affected by exposure to toluene. Pregnant women, in particular, should take every effort to avoid exposure to toluene, as it can affect the brain development of babies in utero. Retinol, retinyl palmitate, and retinyl acetate are forms of vitamin A, but they may not be safe to put on your skin. 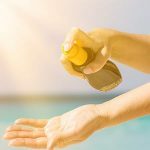 A few studies have found that when retinyl palmitate or retinol applied to skin that was exposed to UV light, it broke down into harmful byproducts, including reactive oxygen species, which caused damage to cellular DNA, and even caused cell death. [37, 38] Although it’s unlikely to occur from skin application, high doses of vitamin A (>30,000 IU) are linked to developmental effects. Polytetrafluoroethylene (PTFE) is the chemical name for Teflon, most commonly known for its use as a nonstick coating on pots and pans. Did you know it might also show up in your cosmetics? PTFE is found in pressed and loose powder, blush, mascara, eyeshadow, lip balm and anti-aging cream. The chemical itself is relatively safe but has potential to be contaminated with perfluorooctanoic acid (PFOA) during the manufacturing process. PFOA is linked to thyroid disease, ulcerative colitis, high cholesterol, as well as testicular and kidney cancer. Nanoparticles – particles less than 1/1000th the width of a human hair – are relatively new but already widely used in cosmetic products especially sunscreens. A number of recent studies have questioned their safety. Studies indicate that various types of nanoparticles caused problems in human cells, including DNA damage, oxidative stress, and cellular toxicity. [41, 42, 43, 44] Products do not necessarily say that they contain nanoparticles, but if you see “ultrafine” or “microfine” listed in the packaging, these are a giveaway. 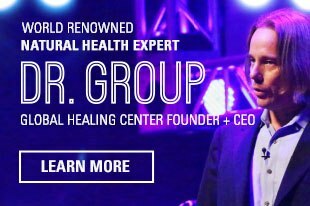 Unless you know that a particular nanoparticle is safe - such as colloidal silver - you can avoid them or do your research. You can search the Consumer Products Inventory database for nanotechnology-based products to find out which ones to avoid. Most consumers who spend the extra money to buy organic skin care products feel they are getting higher quality, more pure and natural products. This is not always the case. 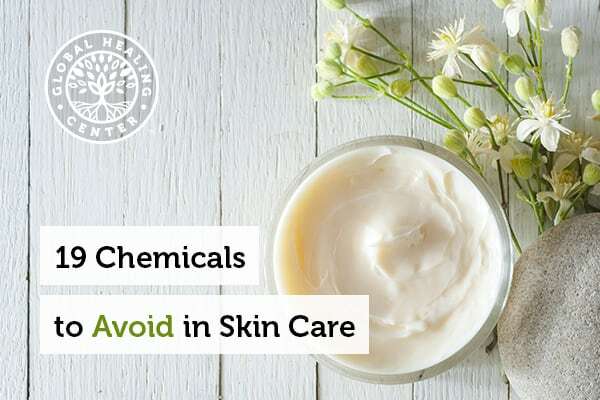 Some organic skin care products still contain these same toxic chemicals, so it’s critical to read labels and avoid products with these harmful ingredients. With that said, a high-quality organic skin care product can do wonders for your skin. Studies have shown many organic ingredients have antioxidant properties that protect against damage caused by UV radiation and environmental pollution. [47, 48] A review study found that several natural compounds have a positive impact on skin health. 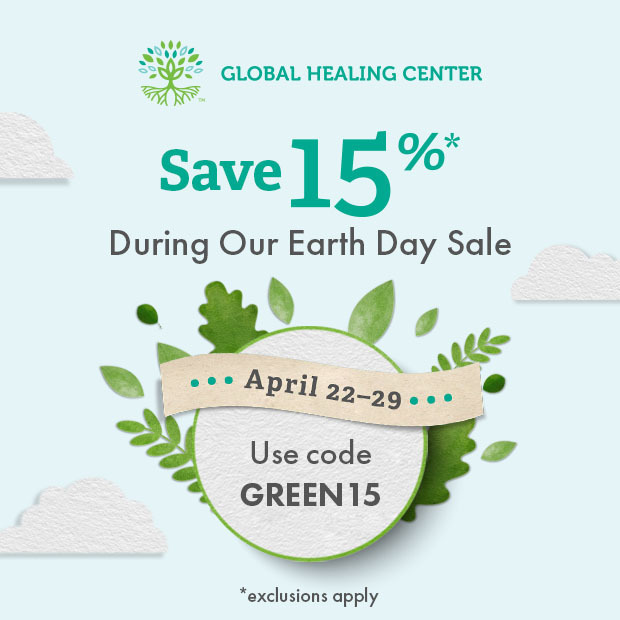 Green tea can help hyperpigmentation, acne, and rosacea, while colloidal oatmeal and aloe vera can help reduce the effects of psoriasis and atopic dermatitis. Acai berry, turmeric, and pomegranate are beneficial as well, and these can balance damage caused by the sun. 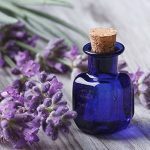 [47, 49] Natural ingredients like plant oils –including olive oil, borage oil, and argan oil, among others – promote healthy skin through antioxidant and anti-inflammatory effects. Organic skin care products also help the environment. If you buy products that are developed from natural sources and which do not contain toxic chemicals, it reduces environmental pollution. Take microbeads for example. Those tiny plastic beads added to lotions, creams, and soaps to exfoliate end up washed down the drains and into the oceans, lakes, and rivers, where they make their way into the food chain. Even though the cosmetic industry is largely unregulated, with a few mindful steps, you can protect, heal, and restore your skin in a way that keeps you healthy and helps the environment. Check this natural skin care article for an all natural DIY recipe and routine to maintain your skin healthy and looking radiant. There are also good products on the market. Take time and research the products you are interested in buying. If they claim to use natural, organic ingredients, make sure their ingredient lists support their marketing. Many of the best, safest, and “real” natural skin lotions and cosmetics can be bought online, saving you time and travel. I recommend Parfait Visage®, an all-natural facial cream that contains no synthetic preservatives – and none of the ingredients above. For more information and as a great comparison label, view the ingredient list of this natural and organic skin care product. Kessler R. "More than Cosmetic Changes: Taking Stock of Personal Care Product Safety." Environ Health Perspect. 2015;123,A120–A127. "FDA Authority Over Cosmetics: How Cosmetics Are Not FDA-Approved, but Are FDA-Regulated." U.S. Food & Drug Administration. FDA.gov 3 Aug 2013. "Prohibited & Restricted Ingredients." U.S. Food & Drug Administration. FDA.gov. 3 Nov 2017. "Report on Carcinogens, Fourteenth Edition. Butylated Hydroxyanisole." U.S. Department of Health and Human Services, National Toxicology Program. Lanigan RS, Yamarik TA. "Final report on the safety assessment of BHT(1).” Int J Toxicol. 2002;21(Suppl 2),19-94. "European Commission Scientific Committee on Consumer Safety. Opinion on sodium perborate and perboric acid." European Commission. Scientific Committee on Consumer Safety. 22 June 2010. "Borates Banned in the EU Without Exception." EuropeanMovement.eu. 5 May 2015. "Information Update - Health Canada advises Canadians to avoid homemade craft and pesticide recipes using boric acid." Health Canada. 22 July 2016.
International Agency for Research on Cancer. "Coal Tar Pitch." IARC Monographs. 2012;100F,161-166. Cosmetic Ingredient Review Expert Panel. "Final safety assessment of Coal Tar as used in cosmetics." Int J Toxicol. 2008;27(Suppl 2),1-24. "Hair Dyes." U.S. Food & Drug Administration. FDA.gov 3 Nov 2017. "The Dirty Dozen: PEG Compounds and their contaminants." David Suzuki Foundation. Wangenheim J, Bolcsfoldi G. "Mouse lymphoma L5178Y thymidine kinase locus assay of 50 compounds." Mutagenesis. 1988;3(3),193-205. Biondi O, et al. "Low molecular weight polyethylene glycol induces chromosome aberrations in Chinese hamster cells cultured in vitro." Mutagenesis. 2002;17(3),261-4. Black RE, et al. "Occurrence of 1,4-dioxane in cosmetic raw materials and finished cosmetic products." J AOAC Int. 2001;84(3),666-70. Brashear, A. et al. "Ethylene oxide neurotoxicity: a cluster of 12 nurses with peripheral and central nervous system toxicity." Neurology. 1996; 46(4),992-8. "Mercury and Health Fact Sheet." World Health Organization. Mar. 2017. "Mercury Poisoning Linked to Skin Products." U.S. Food & Drug Administration. FDA.gov. 26 Jul 2016. Bhattar PA, et al. "Exogenous Ochronosis." Indian J Dermatol. 2015;60(6),537–543. "Hydroquinone health and safety guide." World Health Organization. 1996. Hanson KM, et al. "Sunscreen enhancement of UV-induced reactive oxygen species in the skin." Free Radic Biol Med. 2006;41(8),1205-12. "Oxybenzone: Skin Deep® Database." Environmental Working Group. Veldhoen N, et al. "The bactericidal agent triclosan modulates thyroid hormone-associated gene expression and disrupts postembryonic anuran development." Aquat Toxicol. 2006;80(3),217-27. "Safety and Effectiveness of Health Care Antiseptics; Topical Antimicrobial Drug Products for Over-the-Counter Human Use; Proposed Amendment of the Tentative Final Monograph; Reopening of Administrative Record." 1 May 2015. U.S. Food & Drug Administration. "Parabens Fact Sheet." U.S. Department of Health and Human Services. U.S. Centers for Disease Control and Prevention. April 7, 2017. "Skin Deep® Database." Environmental Working Group. "Butylparaben: Review of Toxicological Literature." U.S. Department of Health and Human Services. National Institute of Environmental Health Sciences. nih.gov. April 2005. Cosmetic Ingredient Review. "Safety Assessment of Parabens as Used in Cosmetics." 19 May 2017. "Code of Federal Regulations, Title 21, Part 701. Cosmetic Labeling, §701.2–§701.9." U.S. Food and Drug Administration. 2001. Potera C. "Scented Products Emit a Bouquet of VOCs." Environ Health Perspect. 2011; 119(1):a16-a16. Bridges B. "Fragrance: Emerging health and environmental concerns." Flavour Fragr J. 2002; 17(5), 361-371. Holtcamp W. "Obesogens: An Environmental Link to Obesity." Environ Health Perspect. 2012; 120, a62-a68. "Sodium Laureth Sulfate: Skin Deep® Database." Environmental Working Group. Cosmetic Ingredient Review. "Final Report on the Safety Assessment of Sodium Lauryl Sulfate and Ammonium Lauryl Sulfate." Int J Toxicol. 1983; 2(7), 127-181. Cosmetic Ingredient Review. "Annual Review of Cosmetic Ingredient Safety Assessments." 2004/2005. Int J Toxicol. 2006; 25(Suppl 2),1-89. Yan J, et al. "Photo-induced DNA damage and photocytotoxicity of retinyl palmitate and its photodecomposition products." 2005; 21(7-8):167-75. Fu PP et al. "Photodecomposition of vitamin A and photobiological implications for the skin." Photochem Photobiol. 2007; 83(2),409-24. Dibley MJ, Jeacocke DA. "Safety and toxicity of vitamin A supplements in pregnancy." Food and Nutrition Bulletin. 2001; 22(3),248-266. "C8 Science Panel." 29 Oct 2012. c8sciencepanel.org. Song, Y. et al. "Exposure to nanoparticles is related to pleural effusion, pulmonary fibrosis and granuloma." Eur Respir J. 2009 34(3),559-567. Trouiller B, et al. "Titanium Dioxide Nanoparticles Induce DNA Damage and Genetic Instability In vivo in Mice." Cancer Res. 2009;69(22),8784-8789. Lansdown A. Silver in Health Care: Antimicrobial Effects and Safety in Use. pp. 17-34 In, Hipler U.-C., Elsner P (eds): "Biofunctional Textiles and the Skin." Curr Probl Dermatol. Basel, Karger, 2006, vol 33. "The Project on Emerging Nanotechnologies." Consumer Products Inventory. Burke KE. "Mechanisms of Aging and Development-A New Understanding of Environmental Damage to the Skin and Prevention with Topical Antioxidants." Mech Ageing Dev. 2017. S0047-6374(17)30284-1. Fowler JF, et al. "Innovations in natural ingredients and their use in skin care." J Drugs Dermatol. 9(6 Suppl):S72-81. Lin TK, et al. "Anti-Inflammatory and Skin Barrier Repair Effects of Topical Application of Some Plant Oils." Int J Mol Sci. 2017;19(1),pii:E70. Rochman CM, et al. "Scientific Evidence Supports a Ban on Microbeads." Environmental Science & Technology 2015;49(18),10759-10761.